Most English-language media in Kathmandu reporting on ongoing local elections have limited themselves to noting the numerical quotas for low-caste, ‘Dalit’, candidates. 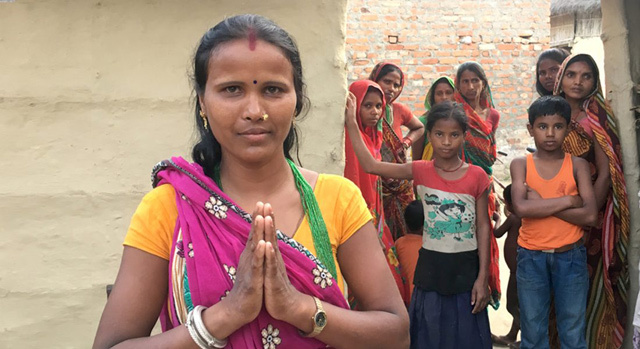 Mamata Devi, 21, of Harper is campaigning day and night for the Dalit candidate even though she is not a voter and doesn’t even have a citizenship certificate, like 20 other Khatwe women of her neighbourhood. She applied for citizenship but was denied it by the district administration office (DAO), which cited lapses in the recommendation from the VDC. Despite being married for four years, Mamata’s in-laws aren’t bothered about providing her the necessary papers. She is compelled to get help from other people to receive the money sent by her husband, who is working overseas. Mamata is campaigning because she thinks she can get citizenship once a Dalit candidate is elected. “People of higher caste do not support us. Therefore, there has to be someone from our community to understand our problems,” she says. Credit also to Nepali Times for translating the article into English and publishing it in its current edition. I’ve previously posted about journalism in Nepal, focusing on reporters’ safety. This entry was posted in Elections, Journalism, Nepal, Women and tagged Dalits by martylogan. Bookmark the permalink.